Which shows that Russia still doesn't have a working RAM coating for the plane. Russian State Media - Look at how relevant and high tech it is. It hasn't done anything as of yet but its day is bound to come well after 2020. We have plenty more photo sessions to attend to before the PAKFA finally does something. The 3F equivalent production version of Su-57 with new engines, full stealth/avionics/weapons probably won't appear until about 2025 which is about 20 years after the fighter it was meant to counter, F-22, arrived which will be in MLU condition then. Over the totality of conventional and nuclear forces Russia probably gets the most bang for buck of any nation however they really dropped the ball on stealth aircraft and they have been looking at Western stealth aircraft for a long time now ever since the F-117 which apparently the Su-57 is not as stealthy as which is very poor on their part. Their main stealth PR strategy now is to pretend to all their sycophants that Western stealth aircraft are not as stealthy as claimed which I suppose when you have been totally outcompeted is all you have left. The practical effect of this stealth deficiency is that foreign buyers of Russian military aircraft will be at a power projection disadvantage and indeed Russia itself but then it always has its nuclear deterrent to fall back on unlike its allies. Very good points all around. I don't think it ends well for the SU-57. Best case scenario Russia orders 50-75 and they're done. Even assuming they get it working, its stealth will be (to use APA's terminology), "double inferior" to the F-22's/F-35. It will exist in that rare area between a clean SH/Typhoon and the F-117. The price tag for such a low production run is going to be astronomical. The logistics will be a nightmare, and its ability to project power will be limited b/c the F-35 is proliferating everywhere. Even in Syria, it was flying with Israeli F-35's and American F-22's... which if things got hot would have = 2/4 less SU-57's the Kremlin had at its disposal. It will exist in that rare area between a clean SH/Typhoon and the F-117. J-20 also hangs out there which is also handy for F-22/F-35 fliers . Best case scenario Russia orders 50-75 and they're done. No, I think the best case is better than that but just very drawn out over many decades. It's safe to assume that eventually Su-57 or its derivatives will replace all Flanker derivatives (Su-27/30/35) but just not very fast as new production Su-30/Su-35 are still being cranked out in higher volumes due to being much cheaper and actual finished products. The Su-57 stealth is what it is now but the whole platform can still be improved in the future in other ways e.g. improved GaN AESA or even photonic radar if they ever get it working, more potent missiles, better EW/IRST. All these will help in combating F-22/F-35 but they probably will always start at a technical disadvantage. I don't know how they fell so far behind. They used the same design philosophy as the Euro-Canards, build a maneuverable aerodynamically efficient aircraft and tune the stealth afterwards ... and got similar results. It's easier to build a stealth aircraft first, if you have the know-how in the first place, and tune it for maneuverability than vice versa e.g. F-35. Wow, you really think they're going to produce that many? That would be 500 plus airframes, a figure I just can't see them affording (finished product is going to be expensive). Likely an order of magnitude more expensive as we're not talking about a total production run anywhere near F-35 levels (3 to 4,000). That's a really good point about aerodynamics first, stealth second. I hadn't thought of that, but it makes a lot of sense. It also occurred to me that one of the reasons they've fallen so far behind was the collapse in 1990/91. So just when we were finalizing the ATF and accelerating its testing/final form, they more or less closed up shop. We then embarked on 15 years of refinement/testing of the YF-22A while they.... languished. In those 15 years, LM went from a winning prototype to an IOC F-22A. 17 years after the PAK FA contract was awarded to Sukhoi (2002), there's still no definitive production version. If they are gonna build 500 airframes, they are gonna have to find/build 1.000 engines. 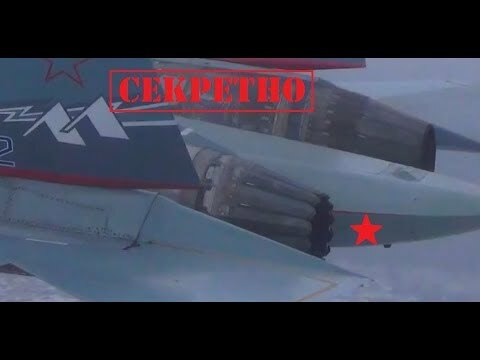 As far as the Ruskies and their Pak-Fa go..
What where they thinking with those "open/exposed" engines? ? ? ? And more power requires more fuel and out goes the internal bay. Then the gear becomes too weak for the lot and the list goes on and on. Well, you can always strip the paint, or put the pilots on a diet, and pump less air in the tires. LOL. But maybe the forego the re-designed air intakes, and greater stealth as a whole. Then she can super-cruise with the new engines, super-maneuverability remains intact and from there its finding the right weapons fit for air to air, air to ground etc.. I'm not suggesting the "final" airframe will be competitive with the F-22/35. I'm suggesting the final rendition will be superior to all American 4th gens, and about equal to the Typhoon. It will however, hold several kinematic advantages vs. the Rafale and of course the Gripen. The big problem for Russia is that every day that ticks by there are more and more F-35's showing up around the globe. And every day that ticks by, is another day closer to the Chinese FC-31 being ready for export. We don't know how capable that aircraft will be, but form outward appearances its going to have a RCS that's smaller than the SU-57. Couple that with long range Chinese AAM's and the marketing/PR arm of Sukhoi is going to have a real uphill battle selling the thing. Gee, who could have predicted this outcome? knowan wrote: Gee, who could have predicted this outcome? So they're slow walking the airframes destined for the "2nd stage" engine. What this tells me is that there's going to be no easy, "swap out" for this new engine. That is, using the same airframe... they just install the new engine and go flying. Now of course it's going to take testing to get it right, but it also suggests it's a lot bigger deal than perhaps previously thought. You didn't see the US Navy stop producing TF-30 powered F-14's, while awaiting more powerful motors. There wasn't a new inlet design that needed to be put into place, etc.. No, you had some of those same aircraft swap the TF-30 for the more powerful GE F-110's when it was ready. I don't get the sense it'll be that easy on the SU-57. Which means a lot longer test period, and holding off on any substantial airframe buys until the new engine is truly ready. We already know the inlet design needs work, at least from a stealth perspective. Dealing with that might be small potatoes vs. airflow issues given the much greater thrust and supercruise they're trying to accomplish. 2025 might be do-able, but I think 2027 - 2030 is a lot more realistic. I am fairly certain they won't modify the inlets in any way at all. The plane needs a lot more work than just the inlets, but I think late 2020s is much more realistic than the latest projections coming out of Russia. They will make something of it, there's too much national pride at stake. And Putin's a big fan, so that needs to be taken into consideration as well. mixelflick wrote: So they're slow walking the airframes destined for the "2nd stage" engine.